When: Saturday, September 30, 6:00 p.m. to 9:00 p.m. Enjoy an evening of live music, gourmet garlic tastings, and samplings of a garlic-inspired tasting menu. Rosedale gardeners have planted and harvested 13 different varieties of gourmet garlic. That’s more than 2000 individual cloves!! Carefully hand-planted one by one last Fall; lovingly tended all Winter and Spring; hand-harvested, cleaned, tagged, and bundled. Now you get to try them. Did we mention that it was all done by hand? All Rosedale gourmet garlic varieties will be available for sale. …the difference that gourmet garlic can make in your cooking. Come taste and compare our garlic with regular, supermarket garlic. You will never go back! Taste the difference our gourmet garlic makes in garlic bread, garlic pizza, soups, and more. Try it roasted and raw. Even in garlic ice cream!! 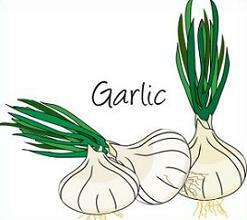 …about planting, harvesting, storing, and using the many varieties of garlic. Garlic experts on hand to answer all your garlic questions. Tickets are $20 and include 2 beverages (wine and beer), garlic tastings, and sample foods. Live music by Krewe De Groove. All proceeds benefit Rosedale Community Garden and help us buy things like: organic compost, organic straw for mulch, tools, water to keep our gardens growing, and many other items large and small.